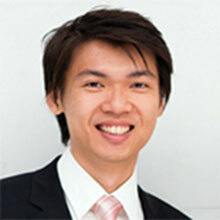 Benjamin Tee is Assistant Professor in the National University of Singapore (NUS). He obtained his doctoral degree in Electrical Engineering from Stanford University in 2013 and was a Stanford Biodesign Global Innovation Fellow in 2014. He has created several new platform technologies for large area tactile sensing. His work included using microstructures to enhance mechanical sensitivity of thin elastic films for use in flexible pressure sensors. In addition, he has also help create highly stretchable yet transparent electrodes for sensing applications. Furthermore, he also created the world’s first repeatedly self-healing electronic sensor skin technology. More recently, he developed artificial mechanoreceptors that mimic the digital output of biological mechanoreceptors for potential use in neural prosthetic devices. These works are in several highly cited research papers on electronic sensor skins and wearable technologies in major journals such as Science, Nature Materials and Nature Nanotechnology. He has filed 8 patents, with 3 granted and issued on this work. Dr Tee believes in a multi-disciplinary and collaborative approach to identifying and solving research questions. He also has entrepreneurial experience and co-founded Privi Medical to create technologies for unmet clinical needs. We are broadly interested in developing new materials and devices for addressing the challenges in human-machine interactions, robotics and biotechnology applications. Using a multi-disciplinary approach, we aim to study fundamental physical effects and integrate knowledge from material science, nano-electronics, communications and biology to design and realize next-generation devices and system architectures for multi-scale, multi-modal sensing. 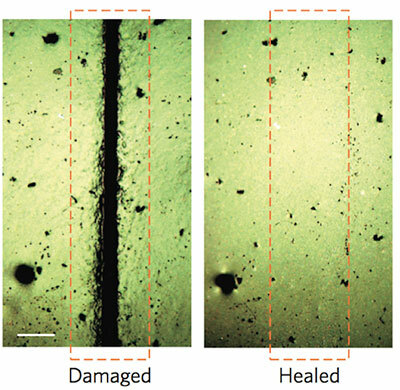 We are developing self-healing materials for electronic applications as well as stretchable electronic devices and systems for next generation macro-electronics. Dr Tee has also won numerous international awards that recognized his work, including the prestigious MIT TR35 Innovators Under 35 Award, MRS Graduate Student Award (Gold) and TSMC Outstanding Student Research Gold and Academy award.